Roots Causing Drain Problems? Let Metro Rod Help! Home > Root Problems Causing Blocked Drains? Let Metro Rod Help! Root Problems Causing Blocked Drains? Let Metro Rod Help! 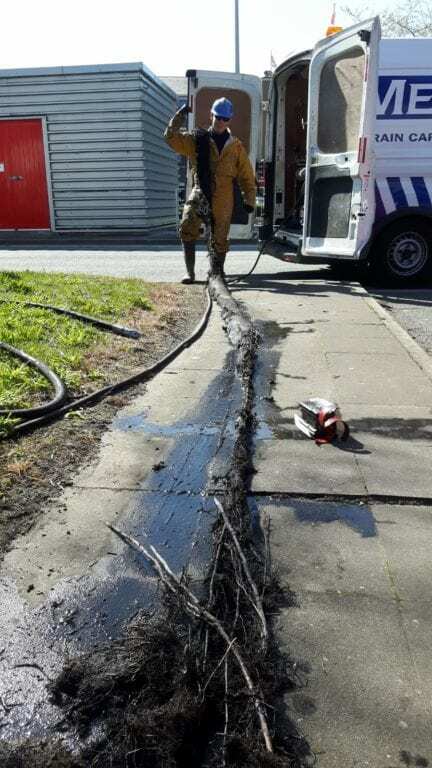 The problems that roots can cause to drainage systems on sites is often underestimated! Of course, plants, trees and flowers are a necessity (and can be visually stunning!) but if you have even the smallest cracks in your drains the effects that roots can have on them can be at best annoying, at worst devastating! Metro Rod, being drainage experts, are more than aware of this and so we have invested to ensure that we have the best engineers and equipment to deal with any drainage problems quickly and thoroughly, meaning that your drain or root problems certainly aren’t problems for long. 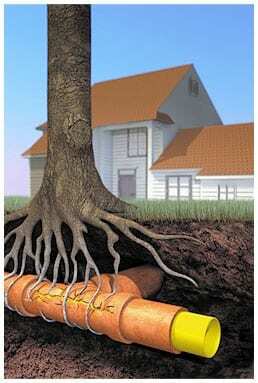 The job of a root is to anchor the plant/tree and to also seek out food, water or nourishment sources. Drains are the perfect source of this, as they hold water, bits of food, grease, indeed all things that roots like! Even the smallest crack in a drain can allow a root to get in, the root will then grow as it finds all the nourishment that it needs and can easily fill the drain, causing the cracks to get bigger. This can then cause drain blockages, meaning bad smells, slow draining facilities or even worse on your property, really not what you would want! Are roots really such a big problem? The above photo shows roots of various lengths removed from sections of drainage. You can really see why these may cause drain blockage. Here at Metro Rod we have specialist equipment to remove the offending roots and then to repair the drain afterwards to ensure that roots cannot enter that section of drainage again. We use specialist root cutting equipment to cut out the roots and then once the roots are removed we can either replace the section of drainage or we can repair it. This is a popular course of action, as it is less invasive and less messy. The method of repair is called patching or lining and it is like a plaster or sock inserted inside the drain to cover any cracks from the inside. This then sets hard, leaving a fully repaired drain in that area. This is perfectly demonstrated in the picture below. 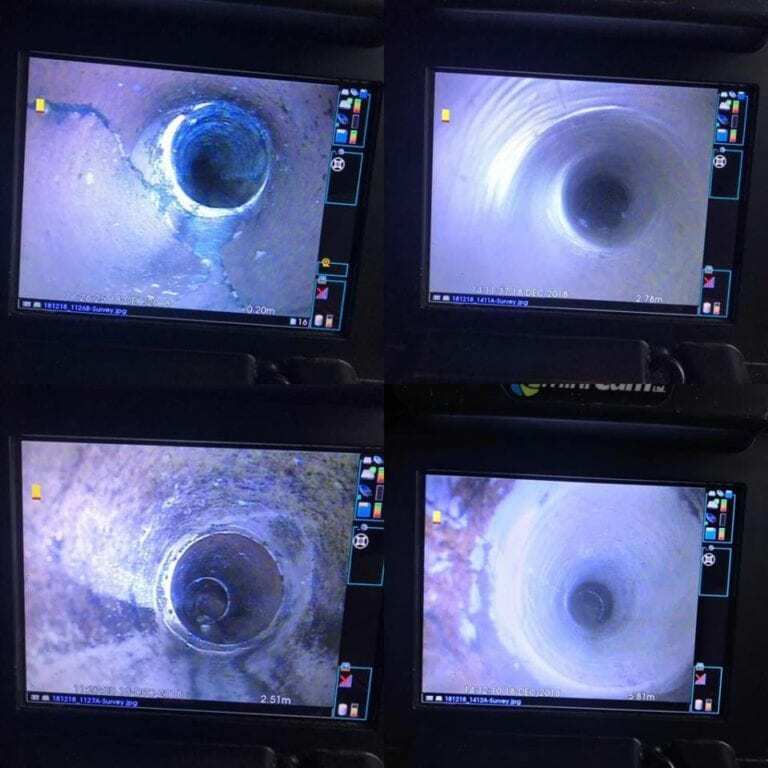 These are stills that we took from a video of a site in Liverpool, showing a before and after shot of the same area of drain. If you have suspicions that roots may have got into any of your drains and need some specialist advice you need to contact Metro Rod, we can help! Connecting on LinkedIn with Jenny, our Business Development Manager. If you have a drain problem we have the solution. Our engineers are all fully trained, fully uniformed, enhanced DBS checked and professional at all times. We operate genuinely 24 hours a day, 7 days a week and will never let you down! 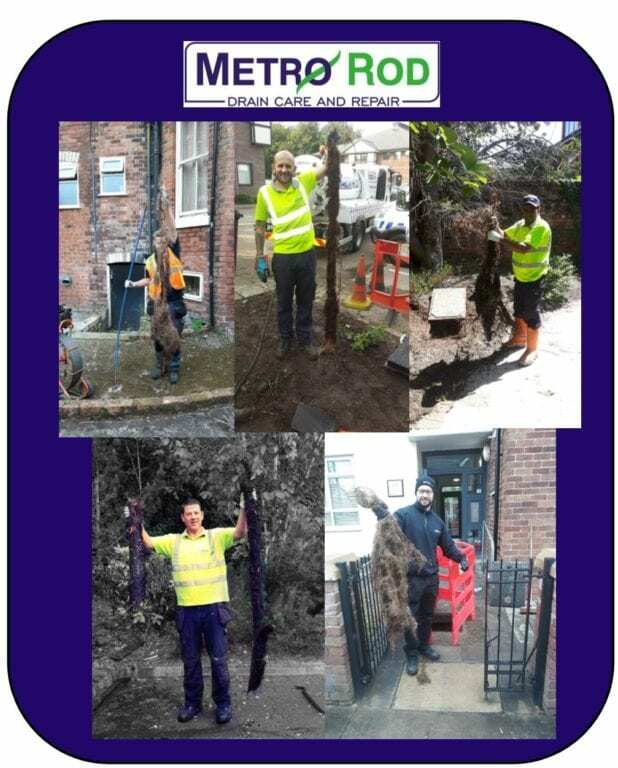 NEW RECRUIT, MATTHEW WILLIAMS, STARTS AT METRO ROD SWANSEA MetroRod unblock drains and solve drainage problems in the city of Oxford Have you seen our Metro Rod Video yet? Interesting Fact #7 Competition Time! Blocked Drains in Exeter? It’s Probably Wet Wipes!